WASHINGTON, DC--(Marketwired - November 02, 2016) - Cooley is growing its communications regulatory practice with the arrival of former Commissioner of the Federal Communications Commission Robert M. McDowell. McDowell is a highly respected leader on complex regulatory, legal and business issues in the telecommunications, media and technology sectors. He joins Cooley as a partner in its Washington, DC office and will be co-leader of the firm's global communications practice. "Having served as a FCC Commissioner for seven years under two presidents, combined with his private sector experience that spans four decades, Rob has a wealth of industry knowledge and global public policy insight that will be of tremendous value to our tech, media and telecom clients here in the US and internationally," said John Feore, partner in Cooley's communications regulatory practice. "His practice is perfectly aligned to help emerging and disruptive companies navigate regulatory hurdles as they bring innovative and novel technologies to market." McDowell was first appointed to the FCC by President George W. Bush in 2006 and again by President Barack Obama in 2009. Unanimously confirmed each time by the US Senate, he led fundamental policy changes that affected all manner of communications technologies, including initiatives that put more spectrum into the hands of consumers through the two largest wireless auctions in US history at that time. He led efforts to establish the first federal civil rights rules in a generation by creating a ban on racially discriminatory practices in broadcast advertising. He also worked extensively on several large and complex mergers including Sirius/XM and Comcast/NBC-Universal. Among other transformative accomplishments, in 2012 he exposed an international bid to regulate vital aspects of the Internet through multilateral treaty-based organizations. His efforts sparked a global campaign to rally opposition, which resulted in resolutions being passed unanimously by the House and Senate, as well as the ultimate defeat of the international bid at a treaty negotiation in Dubai later that year. 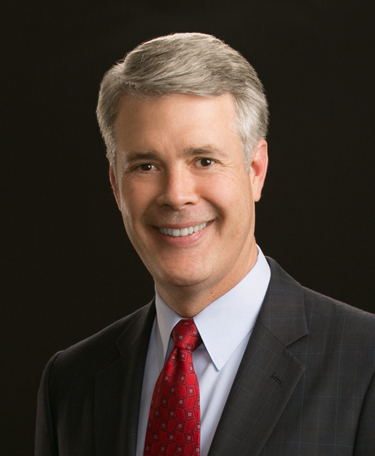 Prior to the FCC, McDowell was senior vice president for CompTel, the Competitive Telecommunications Association, where he led advocacy efforts before several government agencies, the White House and Congress. He has served on official US diplomatic delegations to the World Conference on International Telecommunications and the World Radiocommunication Conference. He joins Cooley from Wiley Rein LLP, where he was a partner. "I am excited to have the opportunity to leverage my public policy, legal and business background to counsel some of the world's most exciting and innovative tech, media and telecom companies," McDowell said. "Cooley is a great platform for my practice and I am thrilled at the prospect of working with the team in such an exciting space." McDowell is often called upon for speaking engagements and frequently appears on TV and radio to provide insight into the tech, media and telecom space. He has written opinion pieces for many high-profile publications, including the Wall Street Journal and Washington Post. He graduated from Duke University in 1985 and received his JD in 1990 from the Marshall-Wythe School of Law at the College of William and Mary. Cooley has 900 lawyers across 12 offices in the United States, China and Europe.